Welcome to my favorite villa in Bali. As you might know from my previous posts we’ve spent some time in east Bali and loved it. I am quite obsessed with finding true gems when it comes to where we’re staying while traveling. Emiel always lets me pick the hotel and I can spend hours online searching for the perfect spots. I guess I have become quite a pro at this, because he always loves my picks. The same goes when we stayed in Amed and spent a few incredible days and never wanted to leave! Emiel and I have been on the lookout for a home to move into once we move to Bali permanently somewhere early next year. After six months in Indonesia we will return to this magical place and stay, Something on this island makes you want to come back here over and over again. First, we want a pool, A, because we are spoiled brats and we love swimming and B because Bali can get real hot and one needs cooling off on a regular basis. 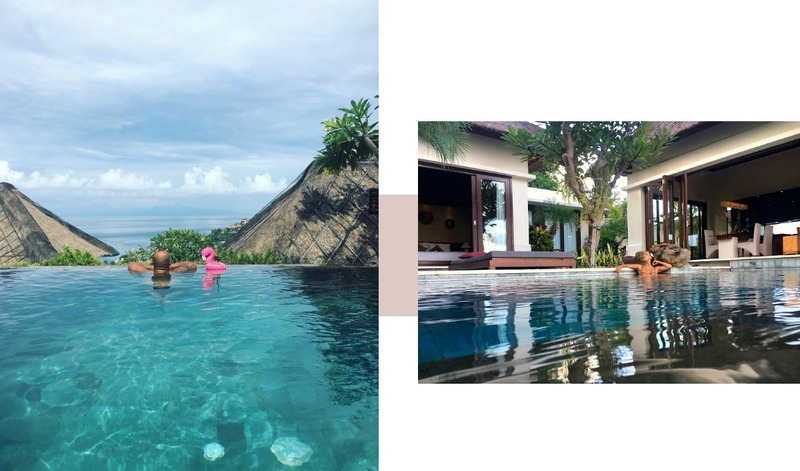 We love the real authentic Bali style and we already thought of how many bedrooms we want, picked a few neighbourhoods we can’t stay away from like Umalas, Seminyak and Canggu, and of course, we want a view. Sounds picky, but uuhm yes a view to wake up to every day and have breakfast while watching it. Can anyone think of a better way to start the day? 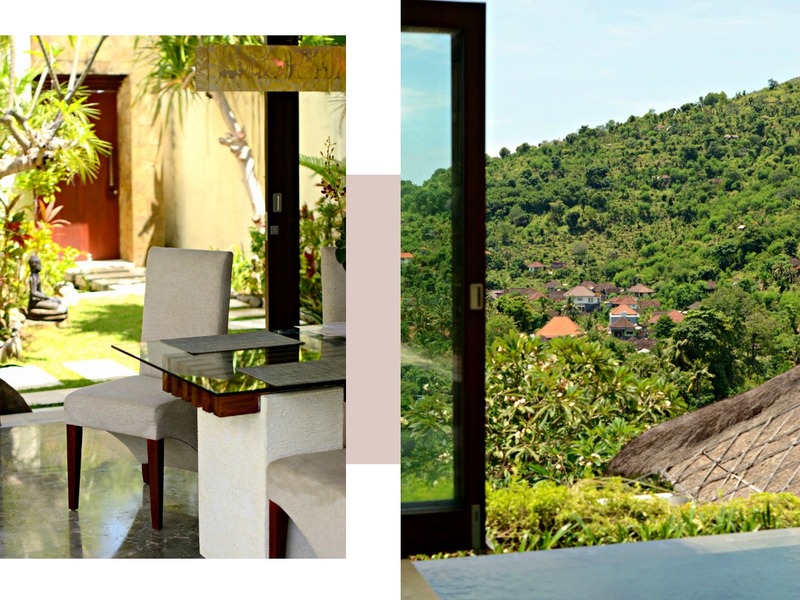 Well, when we stayed here at The Griya Villas And Spa we felt like we lived in our own little villa. 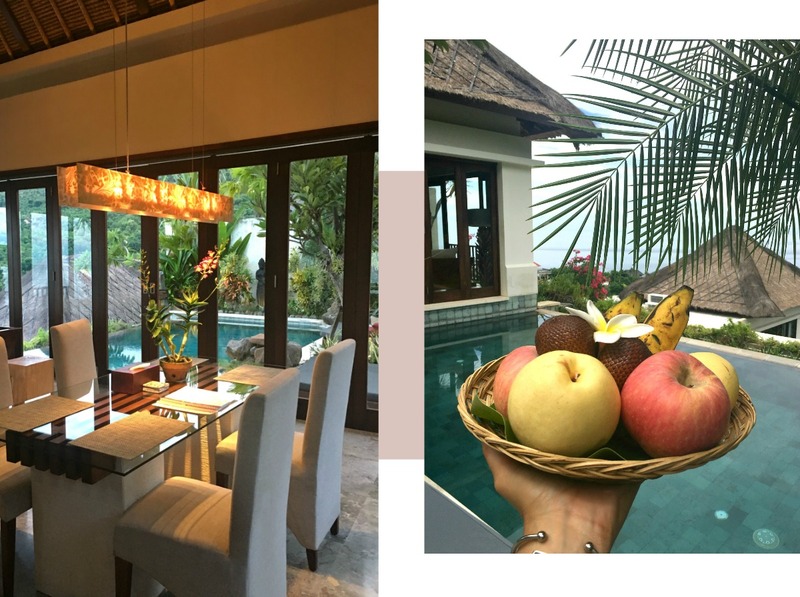 Being able to cook in our own kitchenette, watch TV or read a book at night in the living room, take a dip in our own private pool, and watch this incredible view to start the day. Did I forget to mention a waterfall shower and walk in closet? No need to describe it in words right? I think these photos speak for themselves. Can anyone take me back, please? I get a lot of messages through email and Instagram from readers and friends who want to know where to stay in Bali. 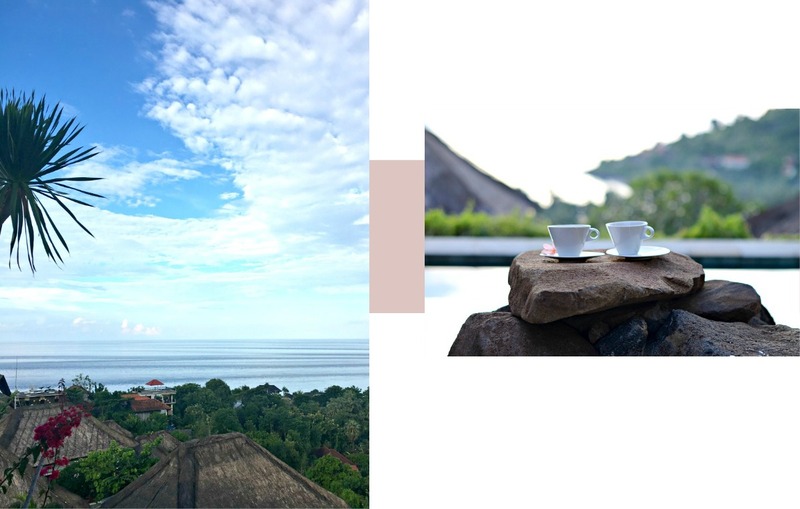 Doing research for each and everyone of you takes a lot of time, so keep an eye on this blog as I plan to share a whole lot of Bali tips in the next posts. I truly hope it will help you guys with picking the perfect spots for your next vacay. Have you been to Bali before? If you haven’t, it should be on your bucket list fo real! 1- Visit their relaxing Channa Spa. Their pressure point massage is literally drool worthy. 2- Check out amazing snorkeling and diving in the area. 3- Enjoy happy hour at their rooftop bar with stunning ocean views making you feel like your in a Bond movie. 4- Visit incredible rice paddies nearby. Thanks for reading my friends and enjoy a spectacular day! This post was brought to you in collaboration with The Griya Villas And Spa. As always all opinions are entirely my own. "Bali Travel Tip – Kanto Lampo Waterfall"